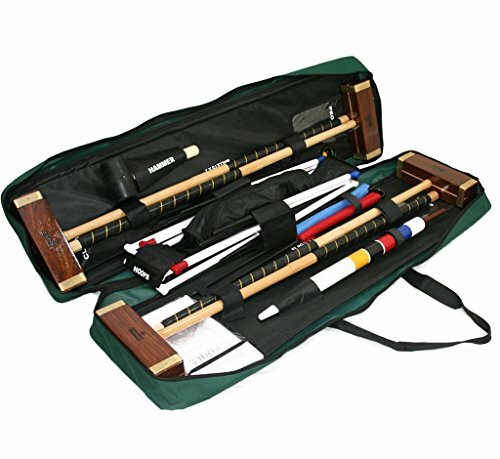 The elegant Challenger Croquet set includes all the necessary equipment and comes pre-packaged in a convenient toolkit bag which has compartments and pockets for all of the equipment. This ensures that the equipment is kept safe during storage and is well protected. The toolkit bag opens fully allowing easier set up and access to all equipment.